Although it is still based on the company's Vega architecture, the GPU powering the new AMD Radeon VII isn't a simply shrink of an existing design. There have been enhancements made to the GPU that not only improve efficiency and rendering performance, but compute performance as well. The GPU's dynamic clock and frequency gating technology is also more robust, faster to change states, and has more granular control over the GPU. There are benefits that come by way of the shrink to 7nm as well, including a smaller die area, which enabled AMD to upgrade the memory configuration over the Radeon RX Vega 64, while maintaining roughly the same footprint. 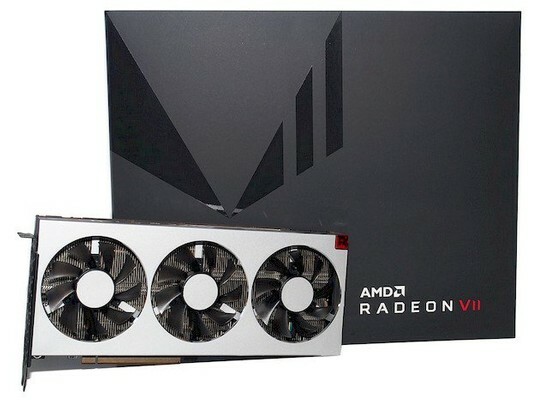 AMD Radeon VII 7nm Vega kaufen.